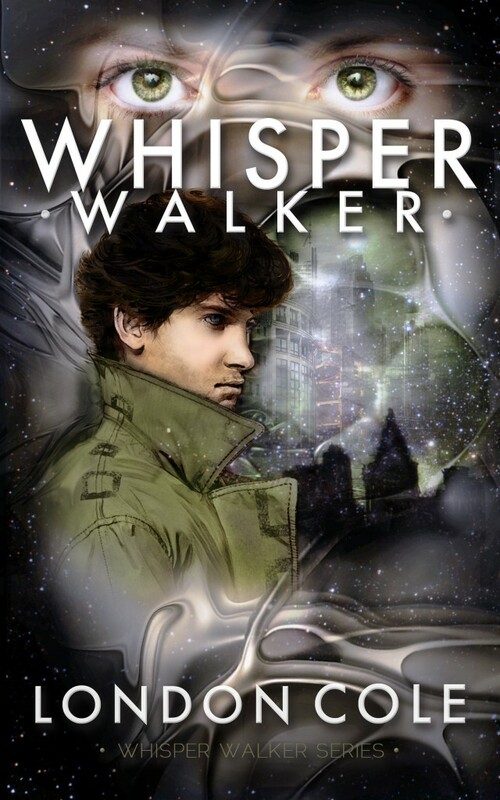 Joining me today is London Cole, author of the young adult paranormal dystopian novella Whisper Walker. Set eighty years after WWIII, this story will draw you in from the very first page with action, adventure, and mystery. “After turning seventeen, orphan Drake Adair discovers he can see ghosts when he falls into a pit of human remains while running for his life. What he doesn’t realize is that he’s stumbled onto his destiny. Kelsie Blake, Drake’s roommate and closest friend since she fled her filicidal father, has secrets. Secrets she keeps even from Drake. Sneaking outside the Gates into the wild, she risks everything for a little excitement. Her lies now threaten everything she cares about most in her life. Drake unearths a plot by an enemy Guild to tear apart life as he knows it. The very people closest to him may be pawns in the grisly scheme, leaving Kelsie and Drake with no one to turn to as they struggle to find answers before it’s too late. Pauline: Was being a writer something you always wanted to do? How did you get your start? London: Well, I’ve always been a big reader. As a kid, I would take any fiction book I could find and go climb a tree, reading the book while hanging upside down. I was more fascinated with the idea of the author’s and their lives than becoming one myself. I first really got my start when I was in Jr High. I was homeschooled and forced to take this history class with a bunch of other homeschoolers (it sucked). In that class we were given the task of journaling a week in the life of whatever project we were given. Mine was the Lusitania and the day she was sunk. I had so much fun fabricating what it must’ve been like to go down with the ship and the teacher really thought I had something. But after that class, I didn’t think about writing again for a long time. Pauline: Okay, I seriously won’t be able to pick up a book for a while without picturing a kid hanging in a tree! What was the inspiration for Whisper Walker? London: I had a random memory pop into my head where I remembered playing a game of “Assassins” with my friends at night in high school. We were playing at an old concrete fort leftover from WWI and I was getting chased by the assassin. I fell into a pit and couldn’t see, though I could feel debris all around me. I imagined that I was surrounded by bones, etc. So when that memory popped into my head, the very first scene of Whisper Walker was born, though it has gone through many changes since. Did you do any special research for the story? London: I had never considered writing a YA Paranormal dystopian before. Once I decided to, I bought a bunch of books in the genre and genres similar. I wanted to know the feel they had. That was the main research I did. Pauline: Now that’s my kind of research! Is there a particular scene, or character, or other aspect of Whisper Walker that’s a particular favorite of yours? London: I love Kelsie’s first fight scene. It’s probably my favorite part of the book. Pauline: You’re stuck on a deserted island with ONE thing to eat – day in and day out. What is it? Pauline: LOL. Works for me…anything with “and chips” should be consider a package deal! Do you write every day or on a set schedule, or just when the muse strikes you? Any writing quirks? London: I write every single day. Even if it’s only a couple hundred words (though it’s normally a thousand or more). I find that the more consistently I write, the more my creative juices flow. The whole line of thinking “I write only when my muse strikes my fancy” is a load of bunk. If I waited till my muse showed up, I’d still be writing the first chapter. Sure, when the muse pops up, it’s great. When it doesn’t, who cares. I write anyway. Pauline: Do you plot everything out or are you a “pantser”? London: I started as a pantser. I thought outlining harshed on my creative flow. But then it came time to rewrite my first manuscript. Total nightmare – subplots everywhere, a through-line that was hard to follow, etc. Starting then I became more and more of an outliner. The more detailed of an outline I make beforehand, the less rewriting and revising I do later. It’s all around easier. I’m finding I have a hard time functioning without an outline now. It’s like that first day of college when you wake up without parents around. With no one to tell you to get up, you might not do a thing that day. My outline is like my boss. It tells me what I need to get done, and when I need to do it. Pauline: What’s the most unforgettable thing you’ve ever done or has happened to you? London: I’ve had so many of those situations that they all blend together. Probably the one that sticks out the most is when a couple of girls came up to me after my band played a gig and gave me a hug while crying their eyes out about an acoustic song I’d sang/written and told me how much it’d meant to them. What books do you have available to-date? London: Whisper Walker is it, right now. Though the sequel is coming along strong. Pauline: Are your books available as print, ebooks or both? As a reader, do you prefer ebooks or paper? London: The ebooks are available as of April 9, 2012 on Barnesandnoble.com and Amazon. The print version will be available within two weeks, though I don’t have an exact date for it yet. As a reader I’ve gotten to the point (I never would have thought I would say this) that I prefer ebooks. I know, I know. I’m ashamed. Pauline: I was an early convert to ebooks and never looked back! 🙂 Now I buy two or three times (at least) as many ebooks as I ever bought print books and only buy certain special books, autographed, in print. London: The Whisper Walker sequel, and two other projects that I’m very excited about. Pauline: Any advice for aspiring writers? London: Sit down and write. Don’t wait for the mood. Don’t say you don’t have time. We all get the same 24 hours in a day. It’s how you use it that counts. 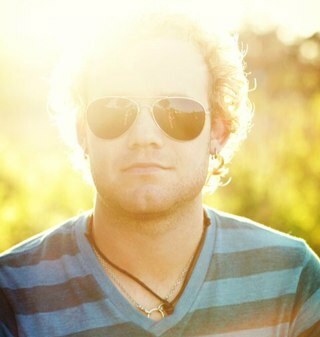 I work fifty-sixty hours a week at my day job and still find time to be in a band and write books. So stop talking about doing it and just do it. What are your favorite things to do when you’re not writing? London: Write/play music, fish, mountain bike, rock climb, backpack, pretty much anything outdoorsy and non-redneck. Oh, and find new breweries. Pauline: Is there anything else you’d like to mention? London: Um, I’m really hungry and it’s 3 am and I have to be up in three hours. Yeah, that about sums it up. Pauline: From the sounds of it, you have to be up that late to get everything done! Where can we find out about you and your work? My book is available at Amazon and will soon be available at Barnes & Noble and in print. and thank you all for stopping by to visit! This entry was posted in Interview and tagged book, dystopian, ebook, london cole, novella, paranormal, young adult by Pauline. Bookmark the permalink. Book Tweeting Service BOOST exposure for your book! ~ Spacejock Ebook Creation ~ I’ll take your Word or OpenOffice document and transform it into epub and mobi ebook files. ~ Web design & podcast consulting Daniel J. Lewis designs websites, presentations, and podcast cover art at affordable prices. He can also help you turn your writings into Internet radio with a podcast. Simon Haynes A blog on writing, editing and publishing by Simon Haynes, author of the Hal Spacejock (ages 15+) and Hal Junior (ages 9-12) series. Articles on Writing & Self-publishing Excellent articles on all aspects of self-pubbing. Share book reviews and ratings with Pauline, and even join a book club on Goodreads.